Prayers and thoughts are with the victims and survivors of the ferry that capsized off the south coast of Korea. Clearly the press seems to have different priorities. 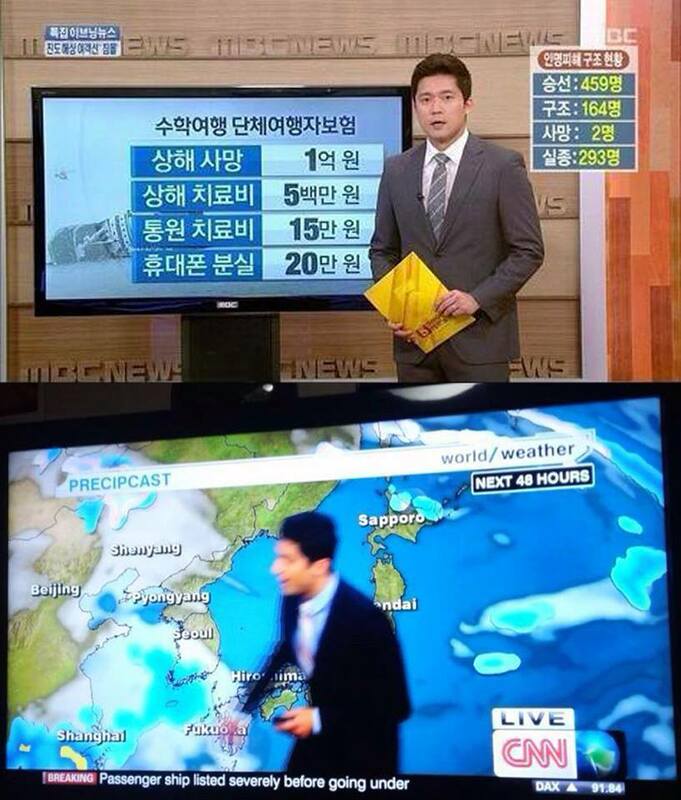 The Korean press are interested in insurance policies whereas the foreign press are talking about water temperature.